Amidst the current furor over a government shutdown, the federal budget, debt ceiling, food stamps, immigration, and other programs that are either held up or being curtailed, another huge issue is quietly moving forward that could profoundly impact American agriculture and consumers. If you go out of your way to enjoy fresh and locally grown food sold at grocery stores or served up at a favorite restaurant, if you care what your child is served to eat at school, or if you have ever considered starting your own food or farm business, you need to know about the Food Safety Modernization Act, or FSMA. Put simply, FSMA is the first substantial modernization of our nation’s food safety laws for fruits, vegetables and most processed foods since the 1930s, and it grants the U.S. Food and Drug Administration (FDA) broad new powers to monitor your food sources and define what is safe to eat. FSMA was signed into law in early 2011. The FDA has proposed rules to implement certain parts of the Act, which the public can comment on until November 15. Now, everyone has a role in ensuring safe food – from the farmer tending crops with safety in mind to home cooks taking proper precautions in the kitchen. But these new rules propose in many cases to treat local growers – the kinds of farmers selling fresh carrots to elementary schools or spicy pickles at your local farmers market – comparably to multinational industrial agribusinesses. Such a “one-size-fits-all” approach could end up putting many of these innovative and newly popular suppliers out of business, even though shorter supply chains for food are known to reduce risk in concrete ways – by minimizing storage, shipping, and handling, as well as the length of time between harvest and consumption. It makes one wonder, why would FDA want to make it harder for farmers and consumers everywhere to do the right thing, by growing, selecting and serving foods from local and regional sources where, in the event of a problem, traceability is a cinch and accountability virtually assured? As they’re currently written, these proposed regulations will unfairly burden family farmers, penalize sustainable and organic farming practices, and reduce the availability of fresh, local food in our communities. They’ll make it harder for beginning farmers to get started, harder to get healthy food into schools, harder for us to fight nationwide public health challenges like diabetes and heart disease, and harder to rebuild a robust national economy from the ground up. The rules undermine on-farm conservation, protection of wildlife, and organic farming practices. When Congress wrote FSMA, it specifically said that the new regulations could not conflict with organic farming practices. But FDA is proposing excessive and unjustified waiting periods between the use of natural fertilizers like manure and compost and the harvest of a crop. Organic farmers depend on compost and manure as their primary tools to build the health of their soil, and the excessive waiting period will make it nearly impossible for many farmers to use manure and restrict their use of compost. This will push farmers to use chemicals instead. Standard practices in organic farming that have existed for decades are suddenly deemed dangerous, without demonstrating that these practices are making people sick. 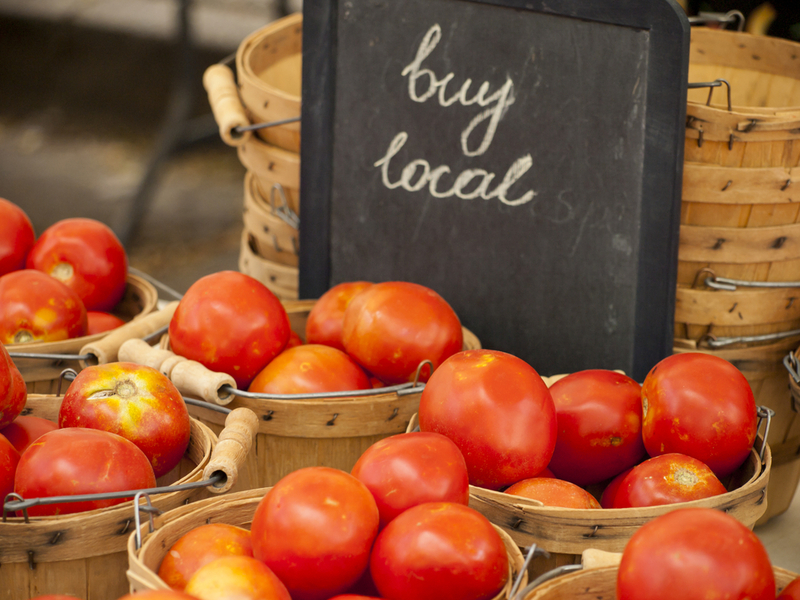 The rules unfairly target local food and limit opportunities for farmers. In FSMA, Congress required FDA to include important considerations for local and regional food systems. The rules fail to fully implement those considerations, including the failure to clarify that Community Supported Agriculture (CSAs) and other direct-to-consumer businesses are not subject to regulations for industrial food facilities. Without this clarification, if a farmer opts to include some of the neighbor’s peaches in her weekly CSA box a few times during the growing season, her farm would also be considered a facility – subjecting her to substantial and costly additional regulation. Even giving a lift to her other neighboring farm’s artisan cheese on the way to a city market could trigger the same level of FDA oversight. The rules lack due process for farmers and will raise costs for farmers and consumers. In recognition of the different risks of different types of supply chains, Congress allowed for modified requirements and certain exemptions for small and mid-sized farms selling the majority of their food directly. In the proposed rules, FDA has failed to adequately implement these requirements. As currently proposed, FDA has broad authority to take away these exemptions and modified requirements and subject farmers to the full weight of the regulations if FDA thinks there is a food safety problem on the farm – but the rules do not require FDA to have proof of a problem, and there is no defined way to get the status back once it is revoked. But aside from the details of these proposed rules, the FDA’s own estimations indicate that many farms already successfully serving the demand for more fresh, locally grown produce, will go out of business due to high compliance costs. At stake in these regulations is nothing less than the ability of family farmers and local food businesses to supply burgeoning consumer demand for fresh fruits and vegetables, as well as value-added specialty products like artisan cheese and other preserved farm products. It doesn’t have to end up this way. The clock is ticking on the comment period for the FDA’s FSMA rules, which ends November 15. Anyone and everyone who cares about a better food and farm future should comment today. Join us in weighing in with FDA today. The future of our nation’s food and farms depends on it. Enjoy stories like this one? Got $25? Help keep Civil Eats alive by supporting our Kickstarter Campaign before October 18. Can you provide a simple way to add our voices to the commentary? I'd like a suggested message. (I'm a consumer, and want local small providers to have flexibility to get me good food.) And I'd like clear instructions on where to email that message. Thanks! As a small farmer I need all the profit I can get. I don't want to waste my money on food safety. My customers can look out for themselves so I don't have to worry about anything except getting stuff around to sell to them. Everyone should submit comments to protect my profits from being eroded with silly purchases of hand sinks, soap, paper towels, all the things food safety wonks think I need to provide so my workers can wash their hands after relieving themselves and before returning to handle food I will sell to my customers. We small farmers do not need any of that and do not want to spend our money that way! We're so glad you want to speak out! The absolute best and most important way to add your voice is to send a comment to the FDA, and we've set up a page to walk you through that process on our website: http://bit.ly/2fixFSMA. There's information specifically for concerned consumers like you, including a sample comment and links to where to submit it before November 15. The whole process should take only a few moments - and will really make a difference. Thank you for taking action! The basic message here is that we have an incredibly diverse food system in this country: everything from gigantic monocrop farms in CA whose product is shipped around the country (and world!) to the small farm down the street that sources to local customers and restaurants. Does it make sense to you to treat all of these farms the same way, with the same level of regulation? To me, a shorter supply route means safer food. I think you've brought up a red herring here; every farm is concerned with food safety. If they weren't, they wouldn't still be farming. And yes, every farm (except yours) has employees wash their hands after using the bathroom. So that's not really the issue. If you take a look at the rules, there are plenty of regulations that are overly onerous for a small, short-supply-line farm. Weekly water tests comes to mind, as do the areas where compost regulations are actually more strict than those in the national organic standards. Anyway, that's my two cents. Thanks Dave and Brian, for sharing your opinions and expertise.